Kareena Kapoor and son Taimur Ali Khan had a fun time with Saif Ali Khan in Rajasthan where he was shooting for the upcoming Navdeep Singh flick. 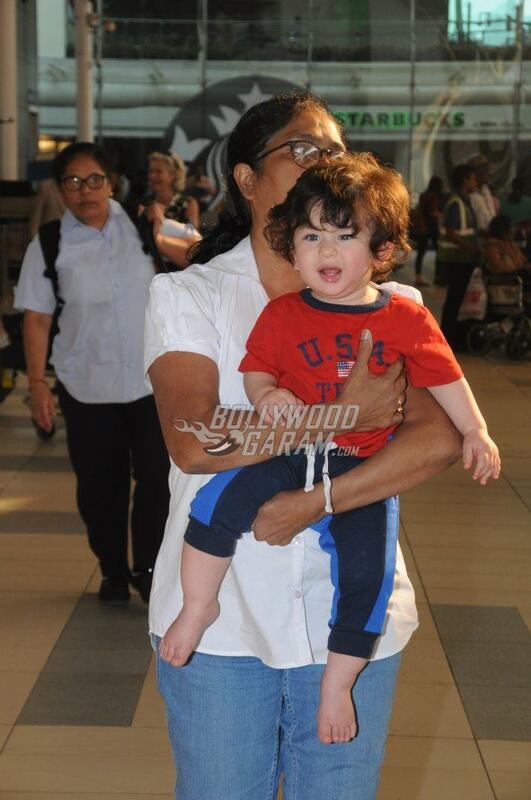 The Jab We Met actress along with son Taimur was snapped at the Mumbai airport on March 1, 2018. 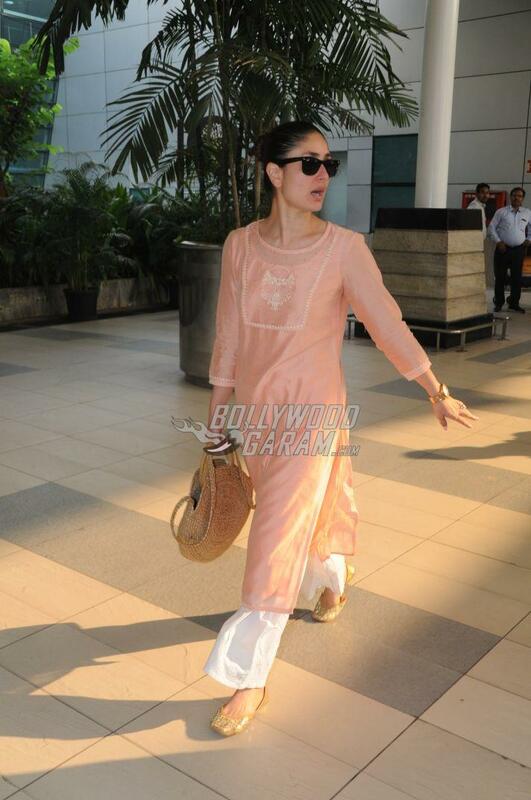 Kareena had been to Udaipur to be with hubby dearest Saif as he is shooting for an upcoming flick. Apart from shooting, the family also had a short vacation together. 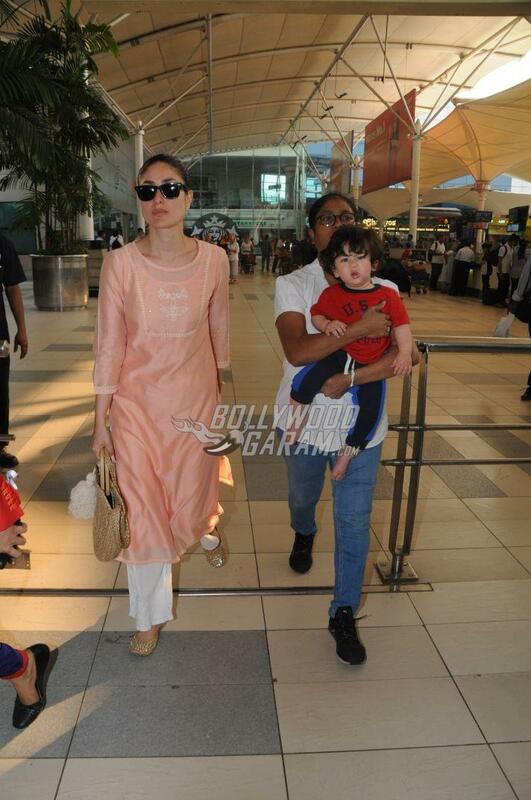 Kareena and Saif are very fond of travelling and are often found holidaying on different occasions. Several pictures from their holiday had surfaced online which showed them having fun together. Saif did not return as his shoot schedule continues. 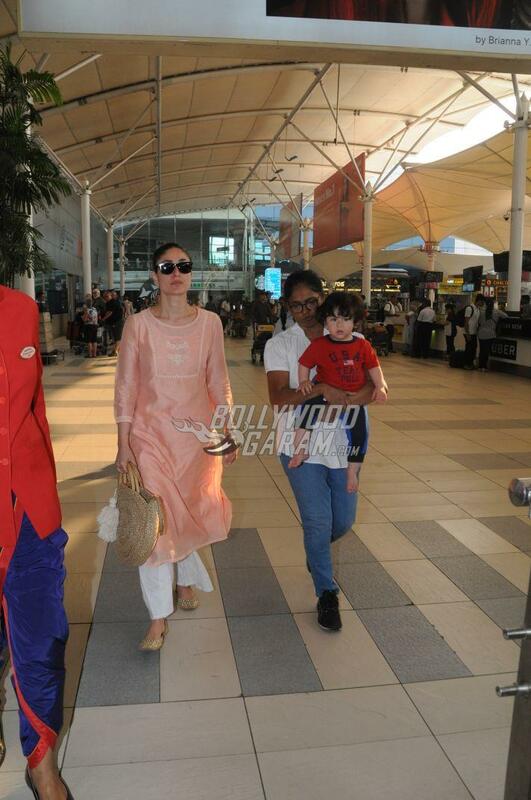 Kareena carried a classy look at the airport in a peach color kurta and white pants with her hair tied in a bun while Taimur was seen brig carried by his nanny. The toddler seemed a little cranky, but looked cute in a red t-shirt and blue pants.